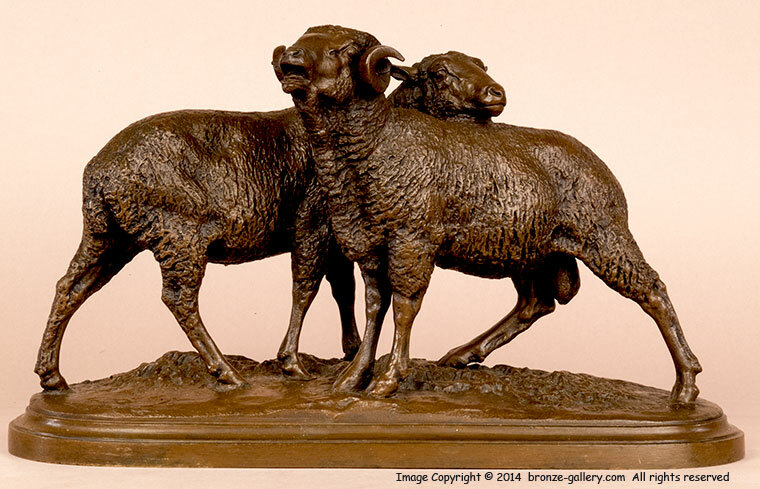 Along with Isidore Bonheur's fine sculptures of Bulls and Horses, he also did a few models of Sheep. This is a rare large bronze of a Merino Ram and Ewe together. Both sheep were done as separate sculptures but the composition is much better with them together. 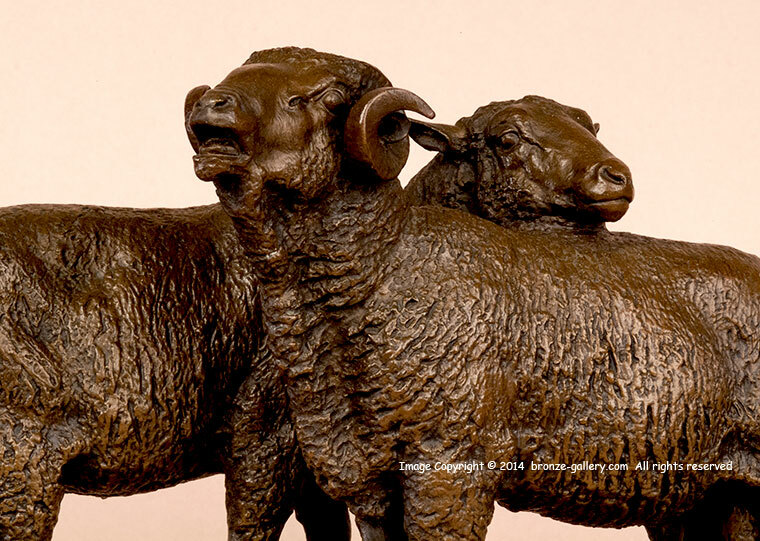 Merino sheep were popular in the 19th century and were the primary wool producing breed. 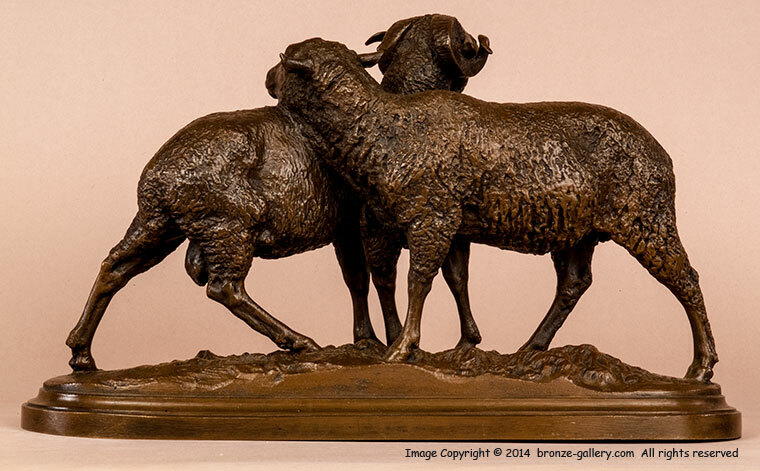 Bonheur captured the folds of wool with expert detail, and shows the Ewe as she leans affectionately against the Ram. The bronze has a warm medium brown patina, the cast is sharp and detailed. This rare model does not often come on the market.